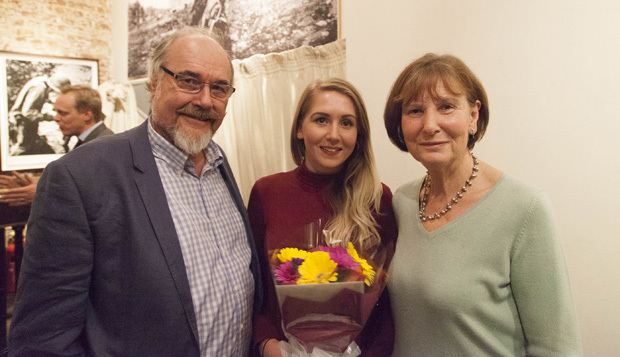 JMU Journalism graduate Josie Timms has been presented with the first Tim Hetherington Fellowship, sponsored by the LJMU and Index on Censorship, at the Frontline Club in London. Tim Hetherington was a Birkenhead-born photojournalist, most famous for his award-winning documentary Restrepo about the war in Afghanistan. He was killed in 2011 by shrapnel from artillery fired by Libyan forces while covering the Libyan civil war. The fellowship in his name will give the winner a chance to write about authors, journalists and artists around the world who face pressure and persecution designed to restrict what they can say. The presentation took place the launch of Spies, Secrets and Lies — Index on Censorship’s Autumn 2015 issue — amid a debate on censorship chaired by Index on Censorship magazine editor Rachael Jolley. The panel included award-winning investigative journalist and author Stephen Grey; fiction writer, filmmaker and political activist Xiaolu Guo; associate editor of The Observer Robert McCrum; and freelance journalist, researcher and an associate editor at foreign affairs magazine Warscapes, Ismail Einashe.